One of the wonderful things about Italy was the paper. Yes, for the bookbinder in me, this was a paper paradise. 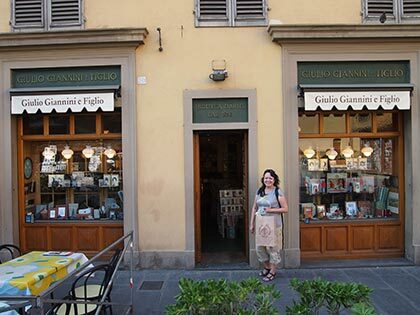 I have always enjoyed working with Italian papers and so you can imagine how excited I got when I saw several art stores that had sheet after sheet of wonderful styles. 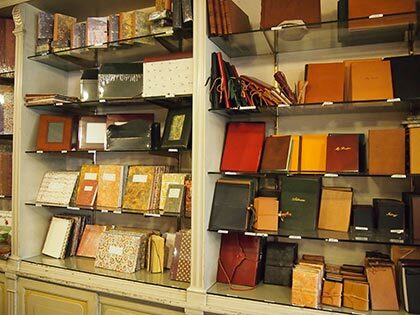 They had gorgeous marbled papers, lovely stationery that made you want to write long letters, and silky soft leather bound books. Aren’t they gorgeous? I look forward to working with these for new creations. Now, I have to get going and start packing. We start our journey back home tomorrow and as always it’ll be super hard to say good-bye to Germany but we’ll be back. Hope you’ve all been having a wonderful summer so far and I look forward to catching up with your blogs once I’ve settled back home. I love seeing all the photos from your travels around Germany & Italy. I am glad you enjoyed your time in Italy and found some wonderful places for inspiration! Those papers and handmade and lovely books. 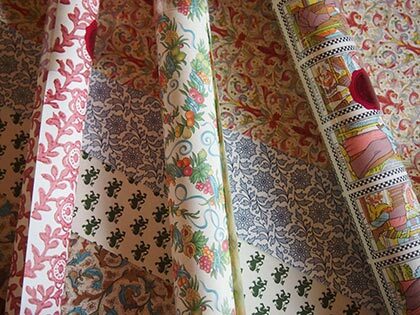 The Italian papers are just gorgeous – can’t wait to see what you create with them. I think you are on your way back – safe travels and look forward to hearing more news soon! Bliss! 🙂 I see you have a package (I think that is you?). What did you buy?? Those are soooo lovely! Thanks for sharing the pics! So pretty! I hope you enjoyed your trip!